“Here In My Heart,” as recorded by Al Martino, reached #1 on the UK Singles Chart and stayed there for nine weeks. 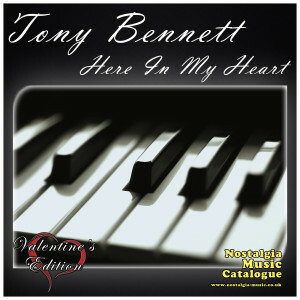 Tony Bennett and Vic Damone recorded the song in 1952 as well; there was also an R&B version by Wini Brown and her Boy Friends recorded the same year. “Here In My Heart” was recorded on April 30, 1952 and released as single that year. It was arranged by Percy Faith.